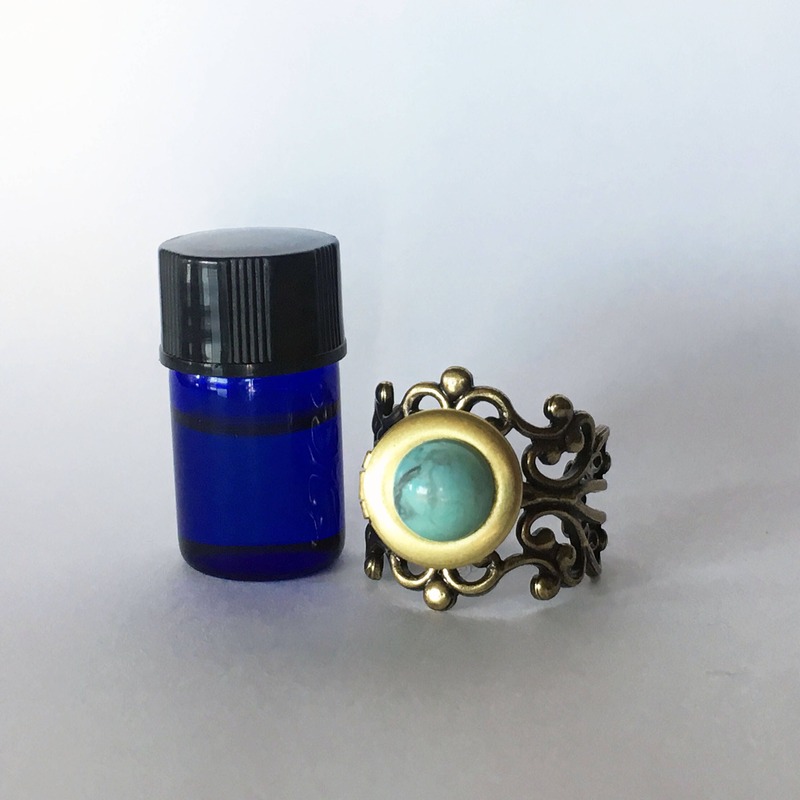 These brass filigree rings are the perfect gift for anyone who loves essential oils. For those of you that haven't been introduced to the world of oils yet, please feel free to send me a message and I can explain the benefits of diffusing and wearing pure essential oils. I use fractionated coconut oil as a carrier for my 100% pure signature blends, so they are safe to dab on your skin or breathe in as a diffuser. 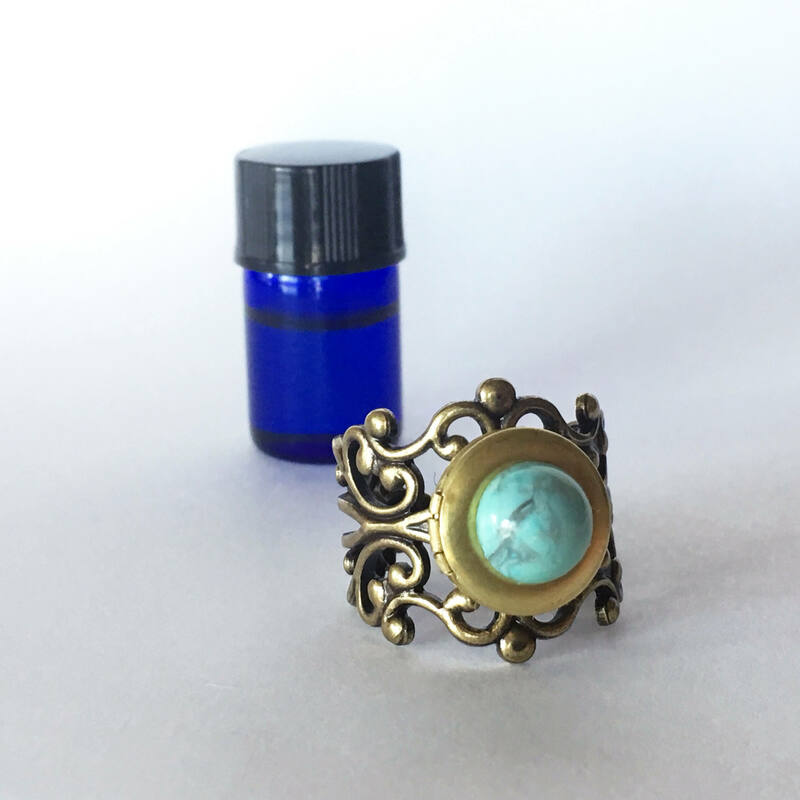 These rings feature a romantic brass filigree ring band with a brass locket in the center. The band is adjustable so it makes a great gift. 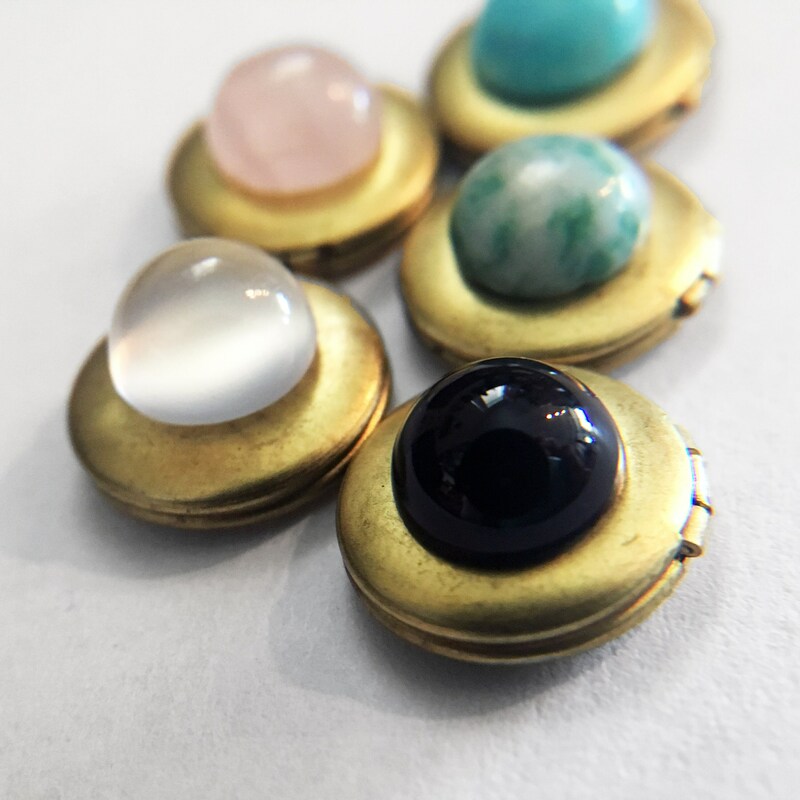 It is the highest quality brass and will not turn any fingers green! 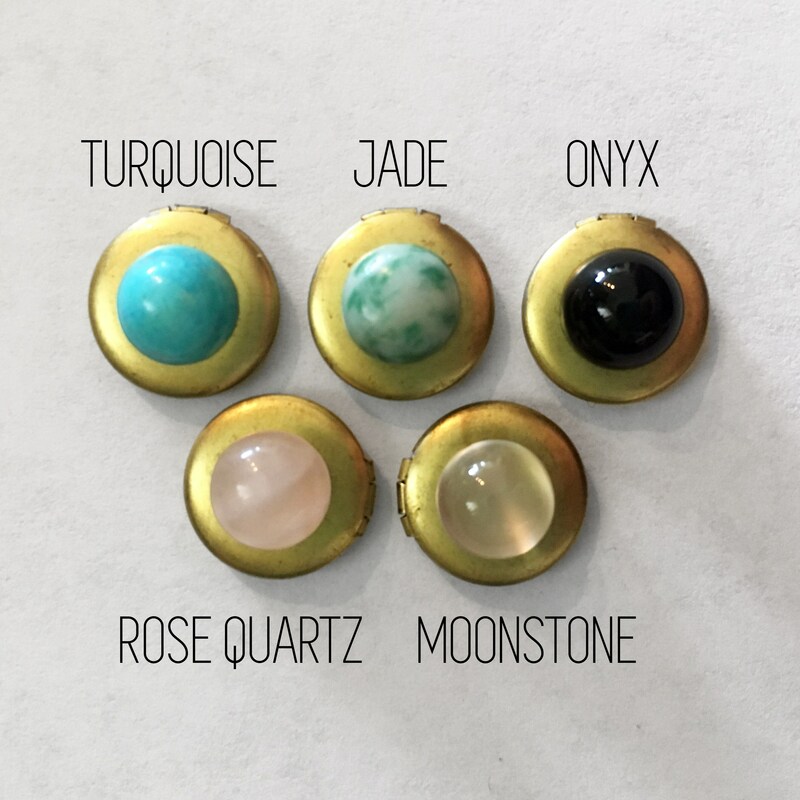 You can choose from rose quartz, onyx, jade, or turquoise howlite as the stone in the center. 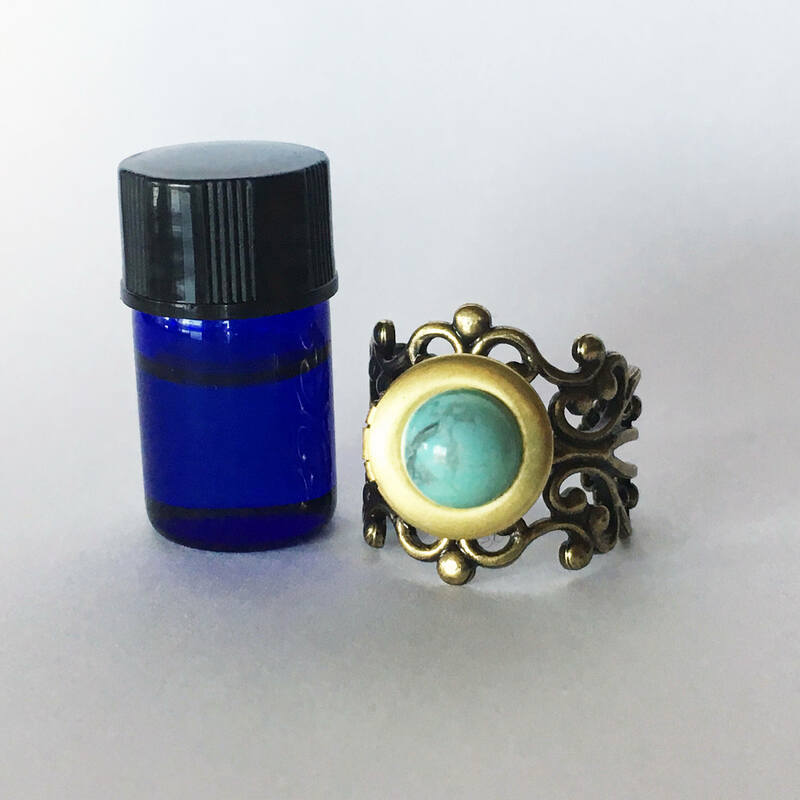 To benefit from the aromatherapy, you just squeeze 3-4 drops of oil onto the pad and you can experience the benefits for the next 10-12 hours! 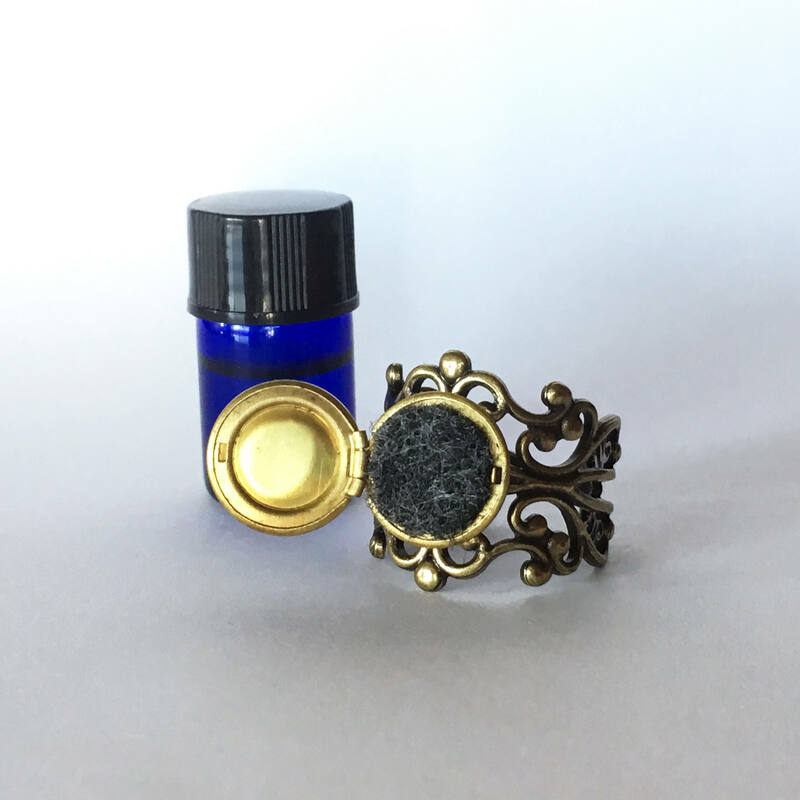 These rings make a perfect gift with my stone post earrings or diffuser necklaces (sold separately). 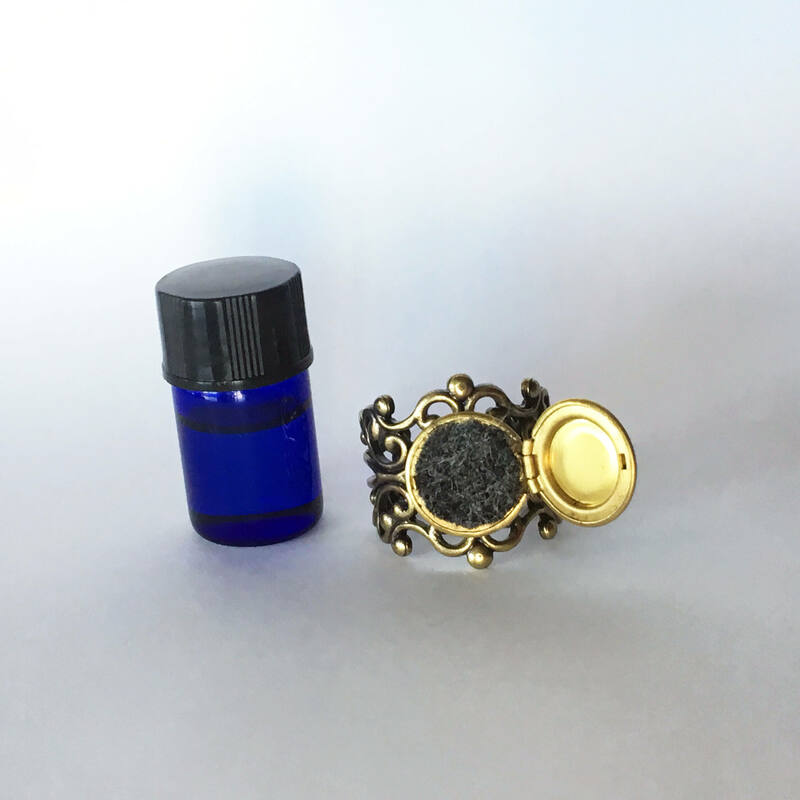 I will send you a 2oz glass dropper bottle filled with one of our signature potion oil blends! I only use 100% pure essential oils. 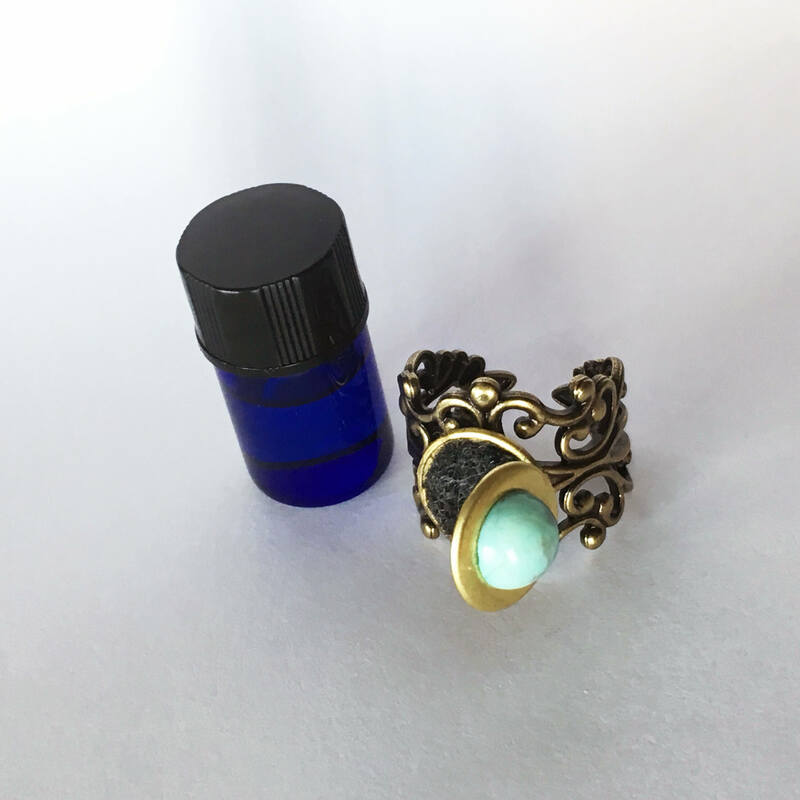 -Moonlight Brew: Helps you connect with your inner magic and spirituality. -Clarity Elixir: Promotes relaxation and peace of mind. 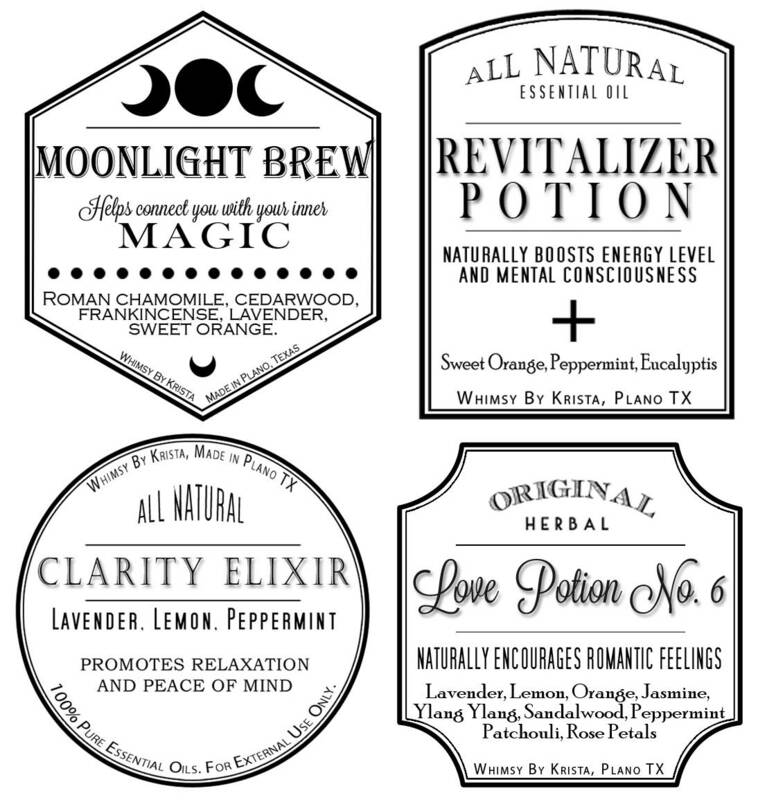 -Love Potion No.6: Naturally encourages romantic feelings. 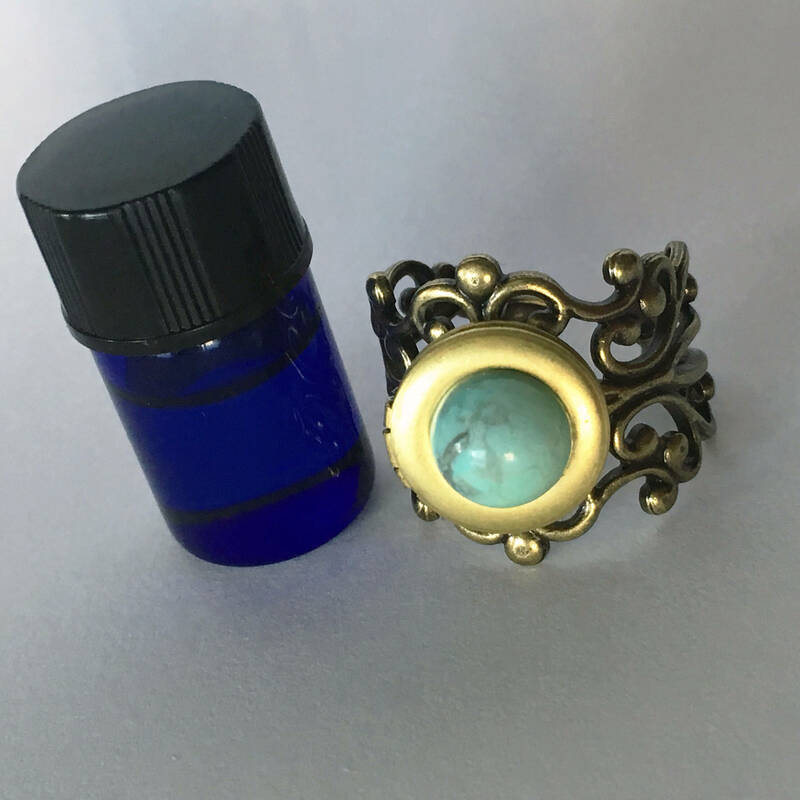 Message me for extra oil bottles, custom orders, more pictures, dimensions, etc. It is strong, but not unbreakable! Handle with care, especially during travel. Not recommended for ages 10 and under.